As promised, I am writing another post to go over a little of what we have done this week. This week had a lot more mission projects than lats week, so it opened my eyes to a lot of the poverty and brokeness in this country. Starting off, however, we were able to do something fun. 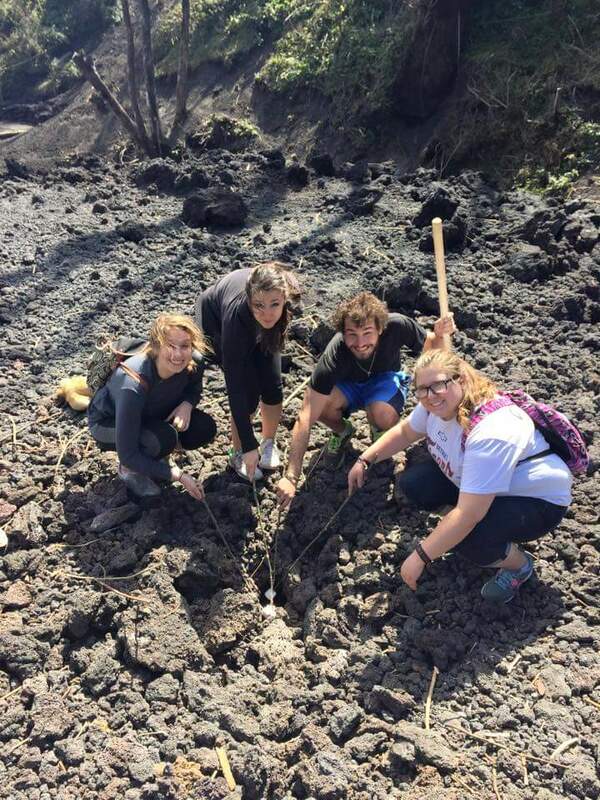 On Monday, we got to climb the Volcano Picia. It’s the most active volcano here. I got the opportunity to ride a horse up it. That was a lot of fun. The view was spectacular and we could see the city as well as other volcanos and mountains. When we got near the top, I got off the horse and made my way to a little shop that was located right on top of dried lava. There I bought a pair of earings with lava inside of them. After we left the shop, we walked on top of the lava to a spot where it was still hot. We then roasted marshmellows. they all got to be that perfect golden brown color. How many people can say they roasted marshmellows in lava? We then continued climbing by foot the rest of the way up the volcano. It was a hard hike, but I made it to the top. Going down was also terrifying. We slid down like a landslide through the volcanic rocks. It felt almost as if we were running down a steep sand dune for you Michiganders. On Wedneday, we gotthe chance to partner with a ministry called Street Revolution. In the morning, we went to the bus terminal. This is a very poor and broken area of the city, filled with drugs and prostitiution. We had the opportunity to do a bible study with the children that live there. It was hard to see these kids growing up in such rough condition, with streets covered in sewage and houses that were shacks. I felt unworthy to speak to these kids because I had no idea how hard of a life they must have. I did however have hope for them, and that is what I hope we were able to offer them in the bible study. I saw the joy on thier faces as we sang songs praiseing the Lord. We plan to go back again during our time here. Also on Wednesday in the afternoon we visited a place called Teen Challenge. There men live to get help and freedom from drug and alcohol abuse as well as gang activity. There we had a bible study and I had the opportunity to share my testimony. I shared how I was depressed and how God rescued me from my depression and kept me alive despite my efforts to kill myself. I shared how God is the only one who saves and resuces and he is the ultimate source of hope. I pray that those men recieved that message and find thier hope in Christ as well. 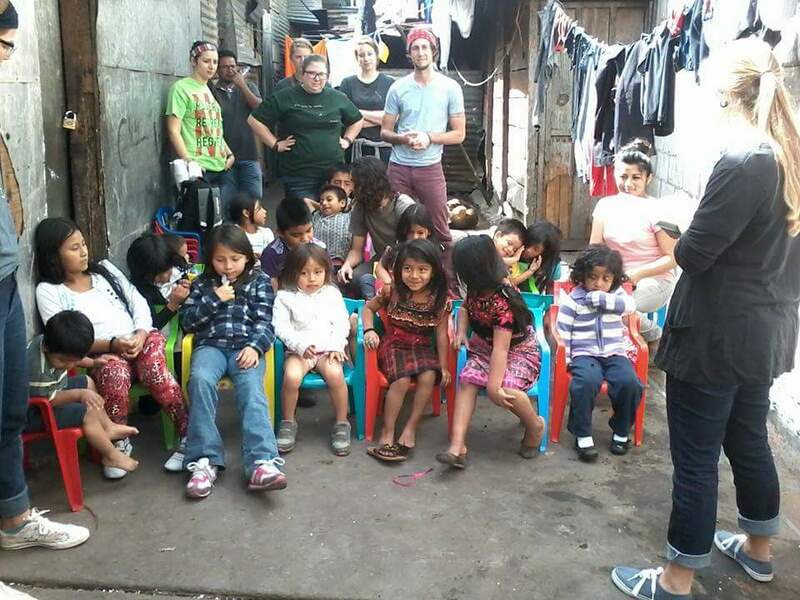 Friday we went to La Limonada, the slum we will we will be working in starting Wednesday. We got to see the school we will be teaching in and got to meet a few of the students. That got me super excited for whats ahead. I’m so excited to pour into these childrens lives. God has surely been blessing my time here in Guatemala. With only eight short weeks left, I pray I can be a change and be changed y this amazing culture. God is surely doing a great work here and I’m more than excited to be a part of it.